[typewritten sticker] Order #005691 Loc/Orig: 0025-P-458. 5/[? ]/ 1936 Location: Lake Oswego. 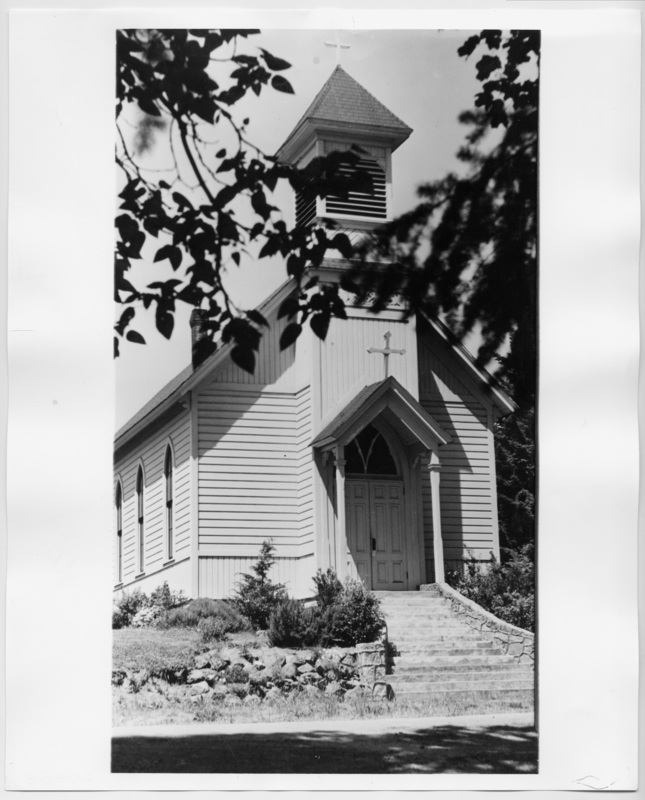 Photographer: [unknown] Title: Sacred Heart Catholic Church in Lake Oswego, Oregon, is of simple Gothic design. [handwriting] 796 First St. [stamp] This photoprint is issued for reference use only. It is not to be copied for resale. Permission for use in a publication, film or video production must be requested in writing from the Photographs Librarian. Photograph Department, Oregon Historical Society, 1230 SW Park Avenue, Portland, Oregon 97205. Negative number [handwriting] see order # & Loc/Orig. Description Original photo is owned by Oregon Historical Society; same as 1523 and HRAB656. Transcription [typewritten sticker] Order #005691 Loc/Orig: 0025-P-458. 5/[? ]/ 1936 Location: Lake Oswego. Photographer: [unknown] Title: Sacred Heart Catholic Church in Lake Oswego, Oregon, is of simple Gothic design. [handwriting] 796 First St. [stamp] This photoprint is issued for reference use only. It is not to be copied for resale. Permission for use in a publication, film or video production must be requested in writing from the Photographs Librarian. Photograph Department, Oregon Historical Society, 1230 SW Park Avenue, Portland, Oregon 97205. Negative number [handwriting] see order # & Loc/Orig.